The third installment in the very insightful and popular NYT iEconomy series is front page of the Sunday NYT. • Apple allocates 70% of its profits outside the U.S. note that the value is created in the US, but the low end manufacturing is overseas. • A Nevada shell company let’s Apple’s U.S. business sidestep California state taxes. California corporate tax rate = 8.84%, while Nevada = 0%. • The “Double Irish With A Dutch Sandwich” routes royalties and profits through Ireland and the Netherlands and the Caribbean. 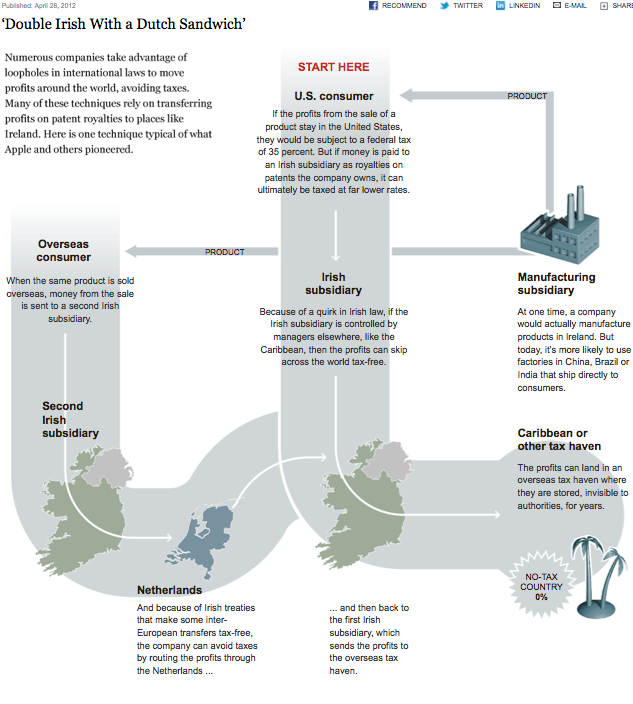 On paper, Ireland “generated” one-third of Apple’s revenue last year. • Salespeople working in high-tax countries are employed by subsidiaries in low-tax countries. The full series is Pulitzer bait, and deservedly so. 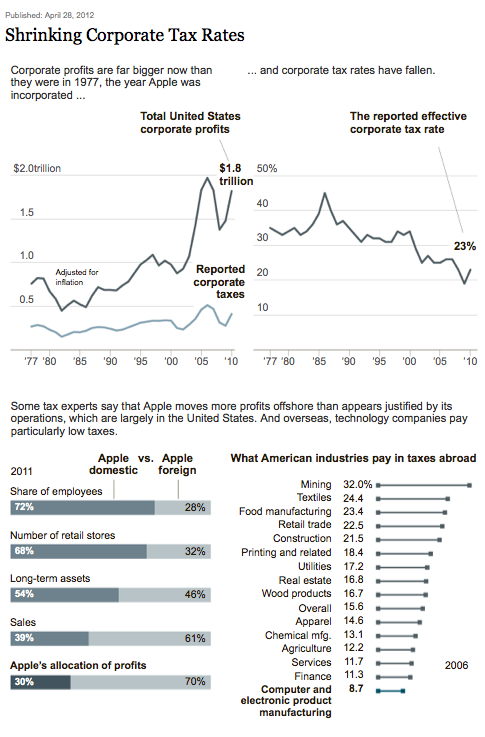 One Response to "iEconomy, Part 3: The Corporate Tax Dodge"
I would also like to know this. Which way are they favorable?